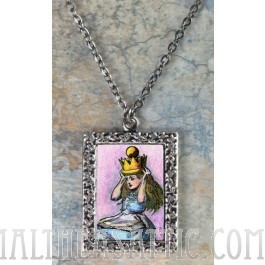 The artist has created a wonderful Alice in Wonderland Art Pendant necklace with rubber stamps. 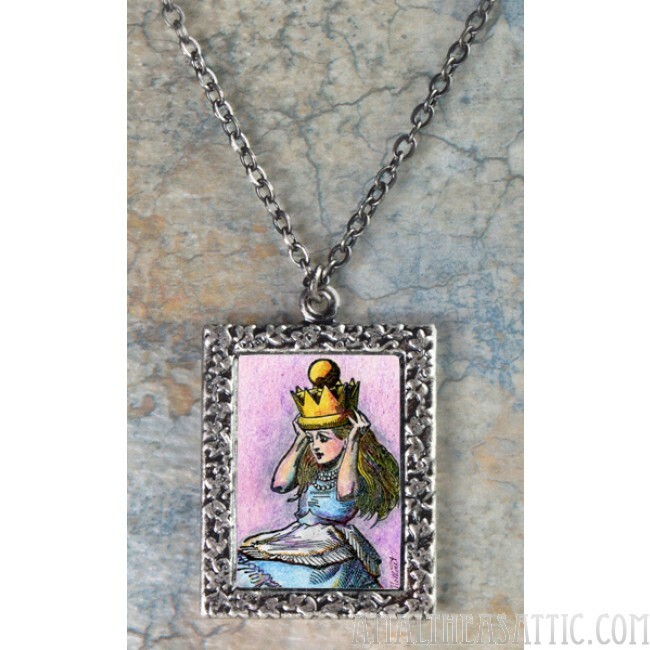 After stamping Tenniel's drawing of Alice in Wonderland with a crown on her head, she colored the piece in excruciating detail with pencils. Afterwards, it was scanned, reduced and laminated for this pendant.